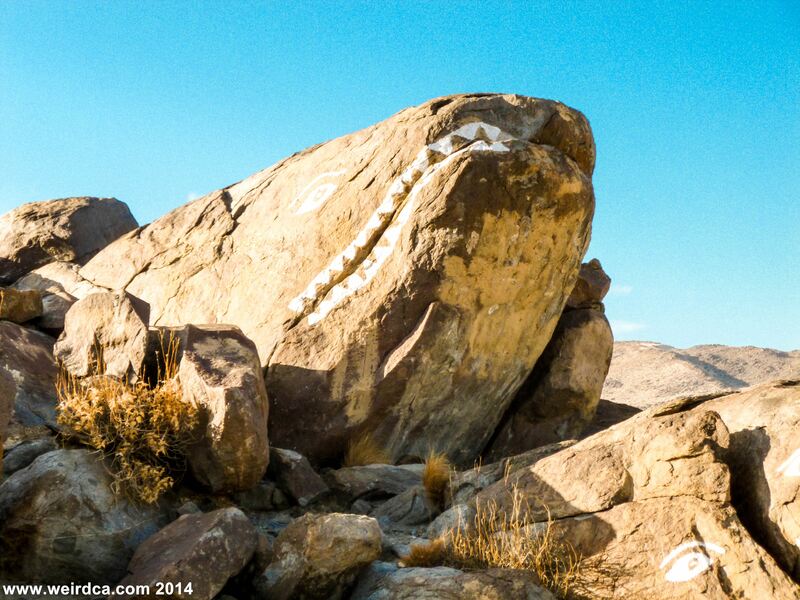 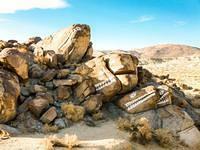 The Fish Rocks on the road between Ridgecrest and Trona! 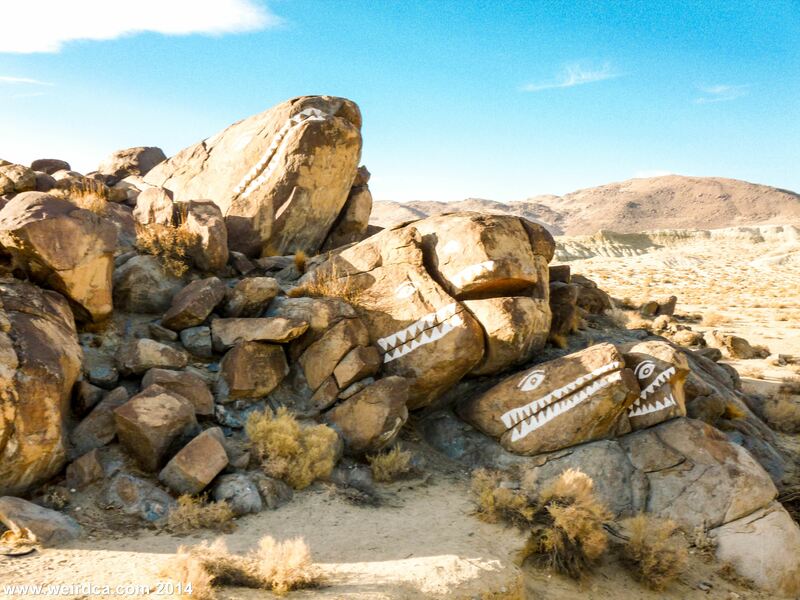 When driving down Highway 178 also known as Trona Road, heading from Ridgecrest to Trona, on the northwest part of the highway, about nine miles away from Trona, one can see a pile of rocks painted with teeth and eyes. 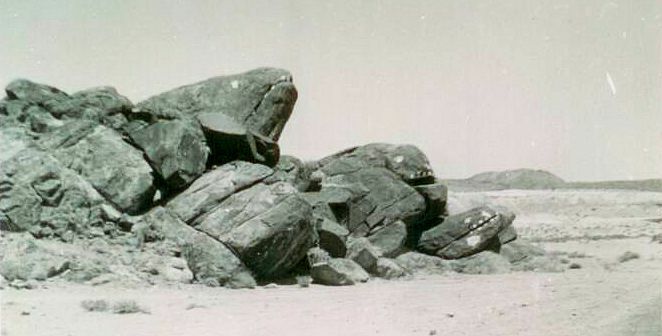 Often called the Fish Rocks, or Fish Head Rocks, and even the Whale Heads, the pile of stones look like giant fish with teeth filled maws. They've also been described as resembling moray eels. They're at the east end of a canyon named Poison Canyon, and the decorations or graffiti has been there since the 1930s, some accounts say 1928. 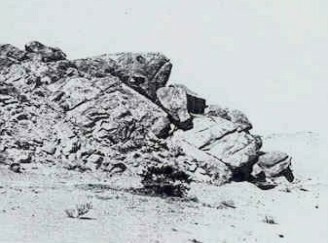 The road use to go right past the rocks, but later the road was re-aligned and now is about a 100 yards or so away from the rocks, although they can still clearly be seen from the road if you're driving to Trona. 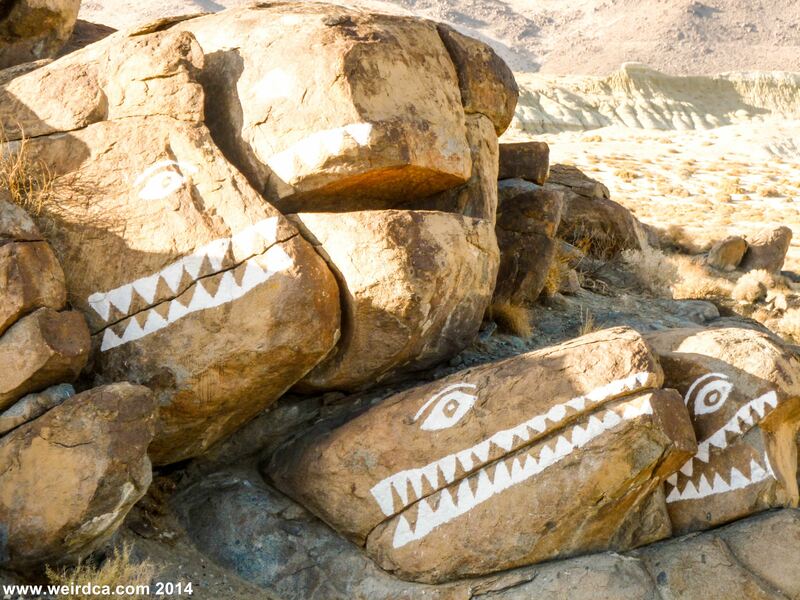 In the 1970s, due to other non fish graffiti in the area, an attempt was made to restore the rocks to their more natural colors and the rocks, graffiti and fish head as well, were painted over in beiges, pinks, etc, making them look more like natural stone. The local citizens became irate at the loss of the Fish Heads and within a year had repainted them. 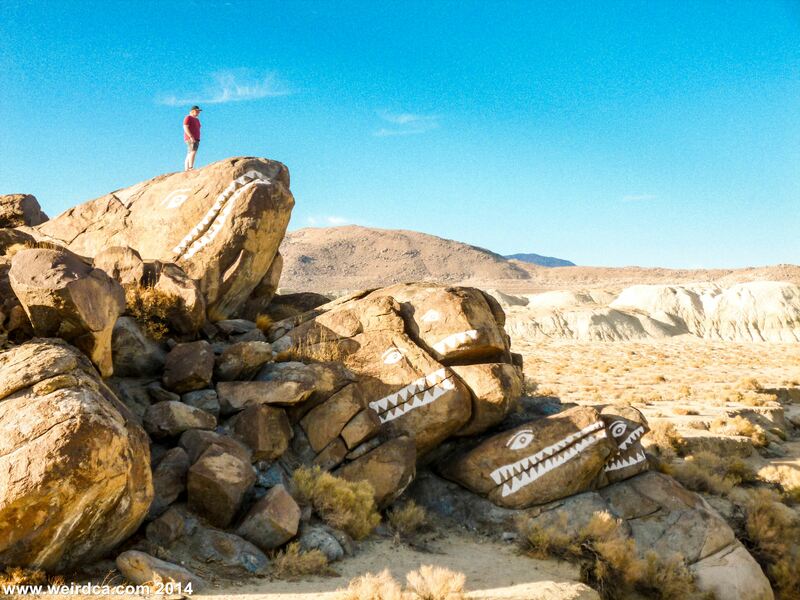 To this day people still occasionally maintain them, making sure their teeth filled grins greet travelers along the highway.